Our Favorite Wellie Market Tote comes in 3 fabulous chevron colors of yellow, green or grey. Carry this bag and you are summer-ready in an instant! Be the most stylish one at the beach, lounging by the pool or grocery store! It's lightweight canvas material is very travel-friendly and easily packed. This wonderful chevron tote comes in 2 sizes. 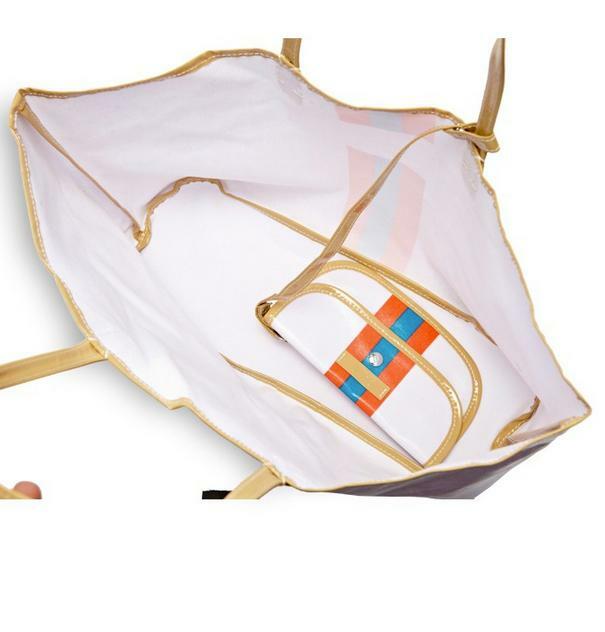 The largest one is great for towels and pool toys and our smaller bag is perfect for shopping tote. It will quickly become your every day summer companion no matter where you're headed! 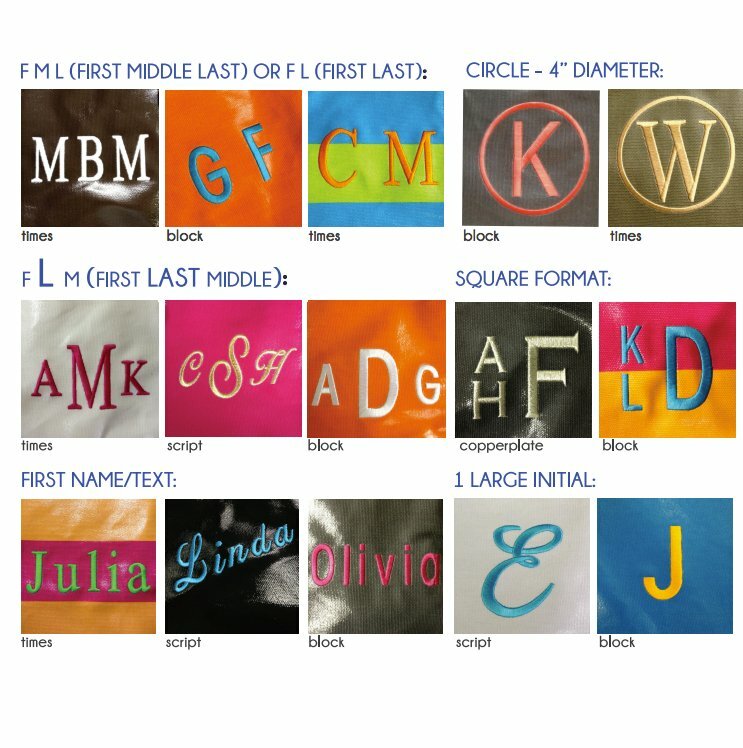 The canvas Market Tote has your monogram embroidered on the center of the bag in your color choice - making it truly yours! monogram is a 4"diameter. Please note: Due to the natural fibers of the cotton canvas, there can be small imperfections, “dots” on the canvas. These are not deemed as defects. For lighter colors; white, navy/white stripe, white and tan racing stripes, these fibers will be more noticeable. See all our other matching styles from City Totes. Price: $83.00 In stock! - Browse this brand: The Pink MonogramOur products are custom made to your specifications. This product ships up to 2 weeks after your order is placed.